Crepe Paper is a great choice for crafts and making garlands, streamers, paper flowers, and decorations! 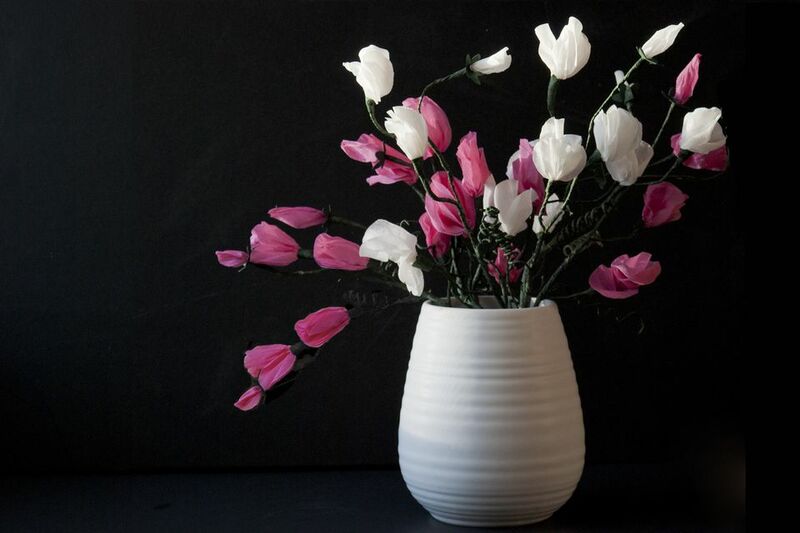 The delicate look of the paper is ideal for making beautiful flowers, bouquet arrangements and more. 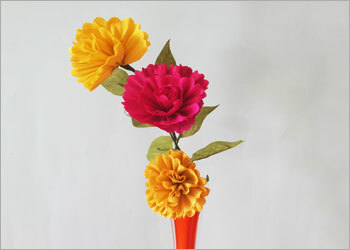 The array of color choices in crepe paper flowers adds vibrancy and spark to the decoration. 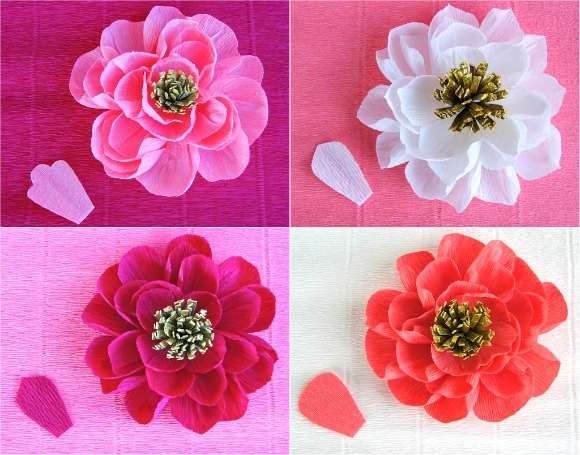 Here we get you a compilation of best tutorials with step-by-step instructions which will help you in making DIY Crepe Paper Flowers Yourself! 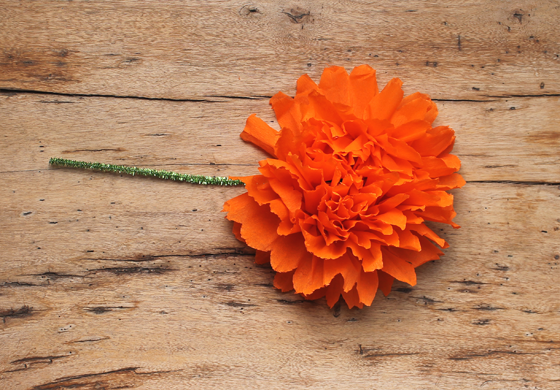 These pretty flowers are made using some vibrant colors. 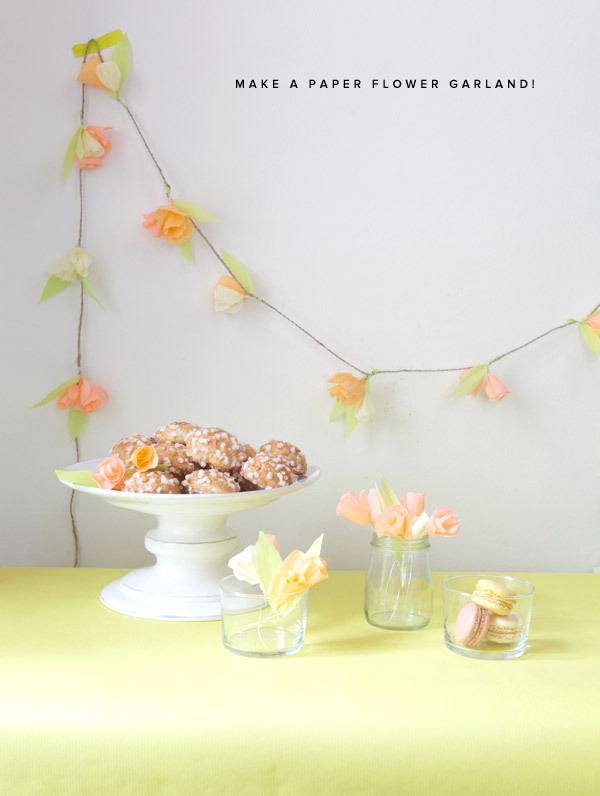 All you need is some crepe papers and a wire to make this flower arrangement as your centerpiece. 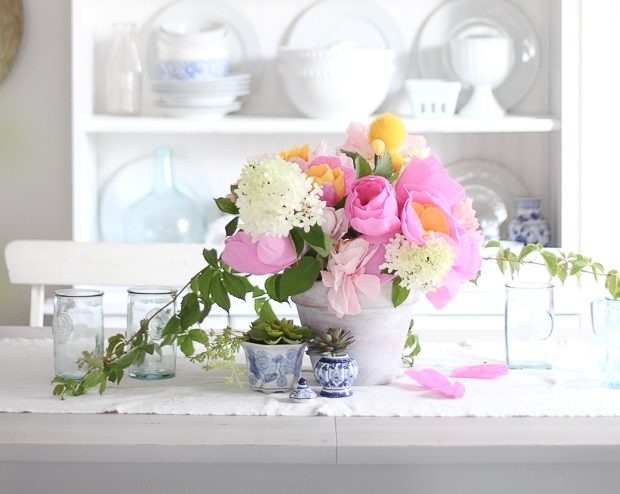 This tutorial is from Martha Stewart, a great one to start with! 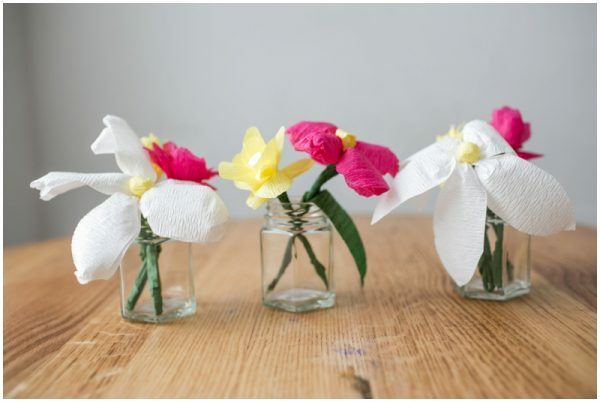 Making these flowers is pretty easy and wonderful! Using multiple colored crepe paper gives them a unique finished look! An ideal decor for outdoor parties! 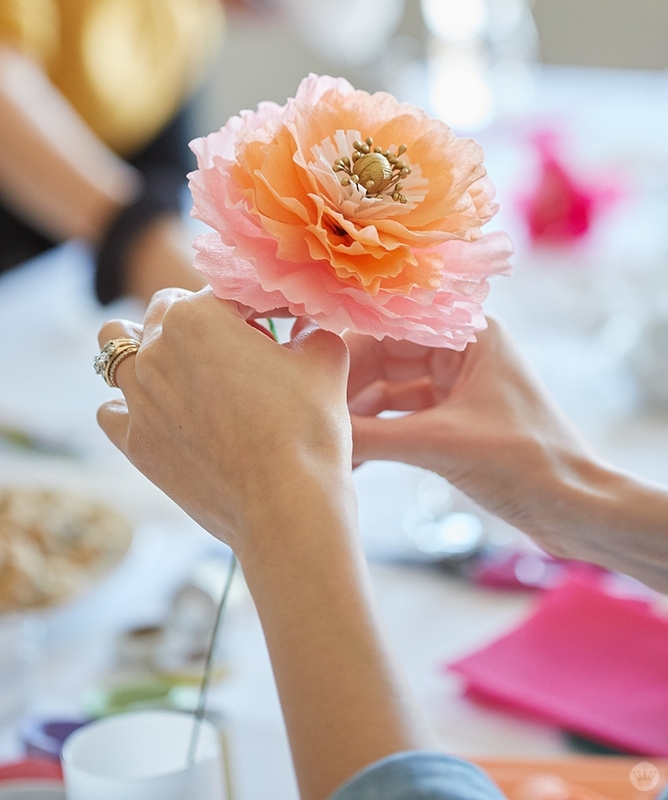 Decorating your birthday party with hand made flowers is quite creative! With all the detailed instructions this design is different gives your decor a beautiful touch. DIY this tutorial today! 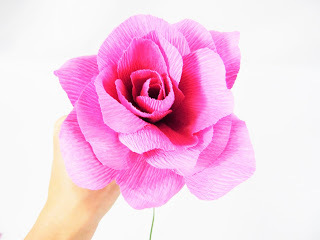 Let’s unleash new ways and techniques of making crepe paper flowers with this DIY tutorial! 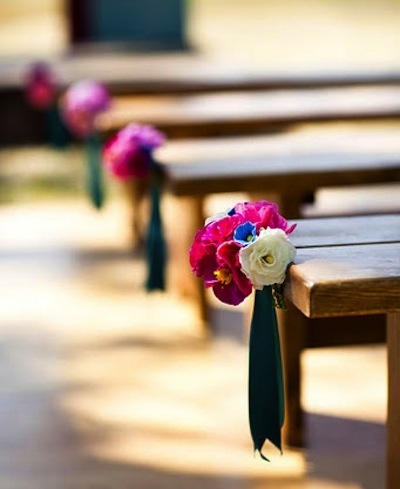 A simple yet great idea to adorn your parties and weddings decorations! 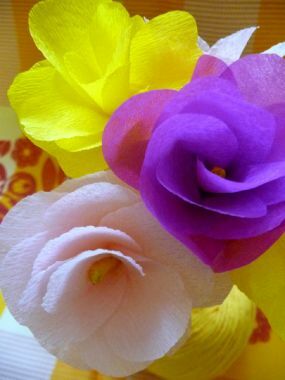 Creating some cool crepe paper flowers this season is with assorted colors can be amazing! This tutorial shows you different ways and ideas to make some easy and simple flowers with crepe paper. 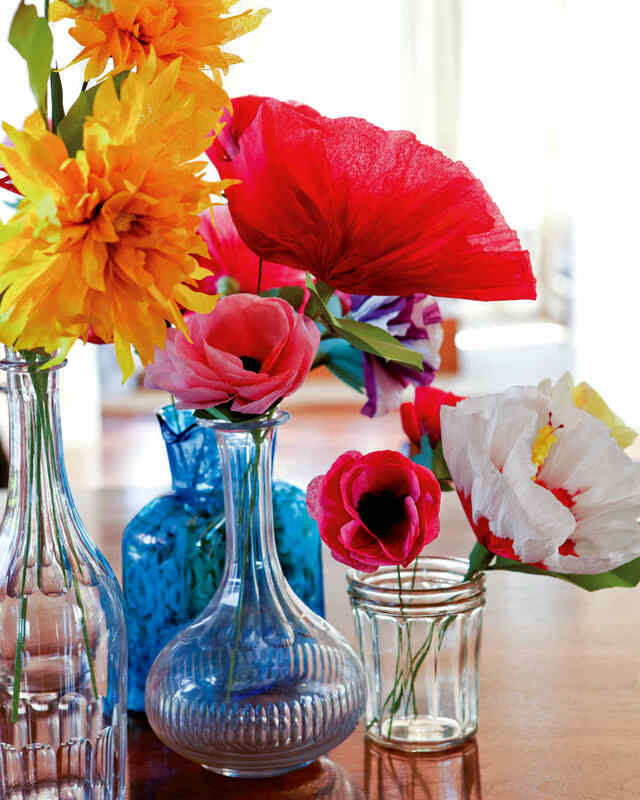 Making some gorgeous centerpieces with crepe paper flowers can be affordable and a quick idea too! Using Italian Crepe Paper for this hand made flowers is ideal for the perfect texture of this paper! Adding elegance to this wonderful bunch of flowers! 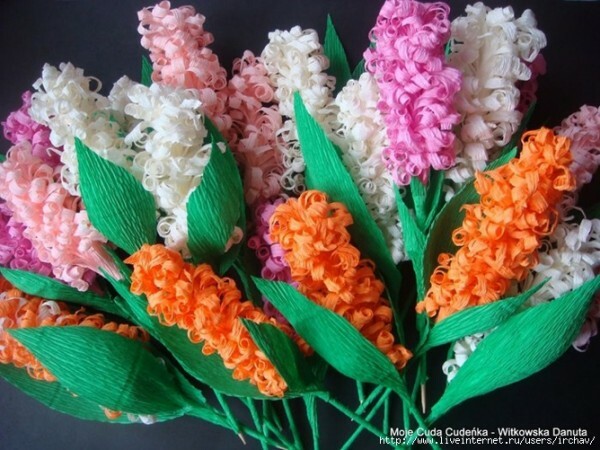 The crepe paper is most preferred for this craft as it is weightless making it easy to create some amazing flowers in multiple colors! 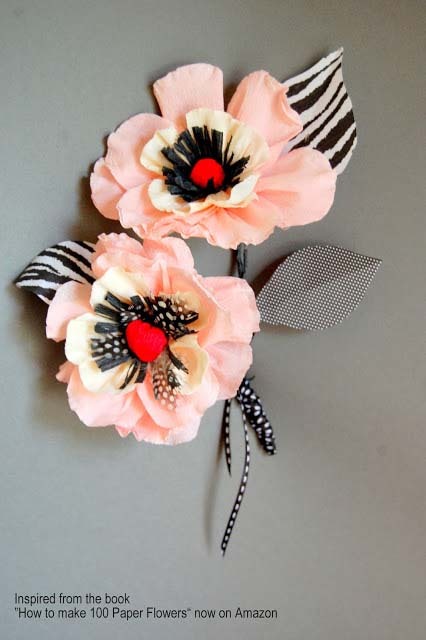 This super cute flower can be made with your left over crepe papers! 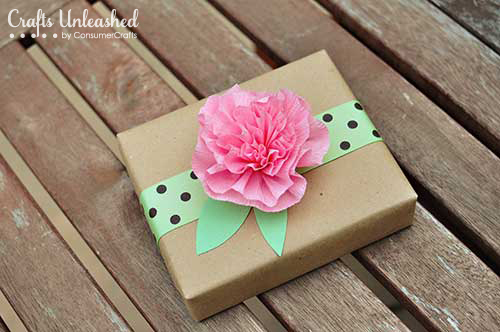 Simple and easy to make and adorn your gifts with them! 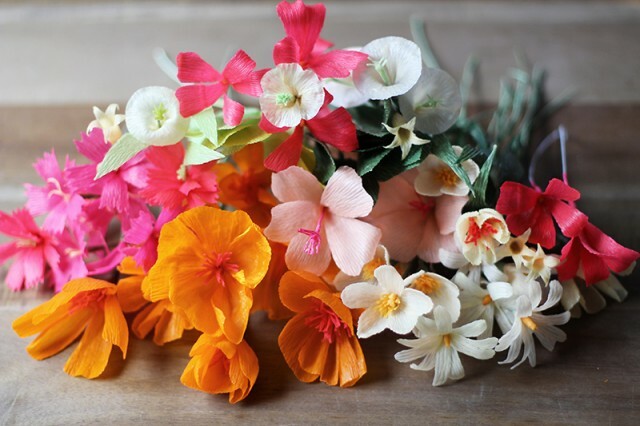 If you are wondering how to make easy crepe paper flowers at home, then follow this tutorial with the simple instructions! 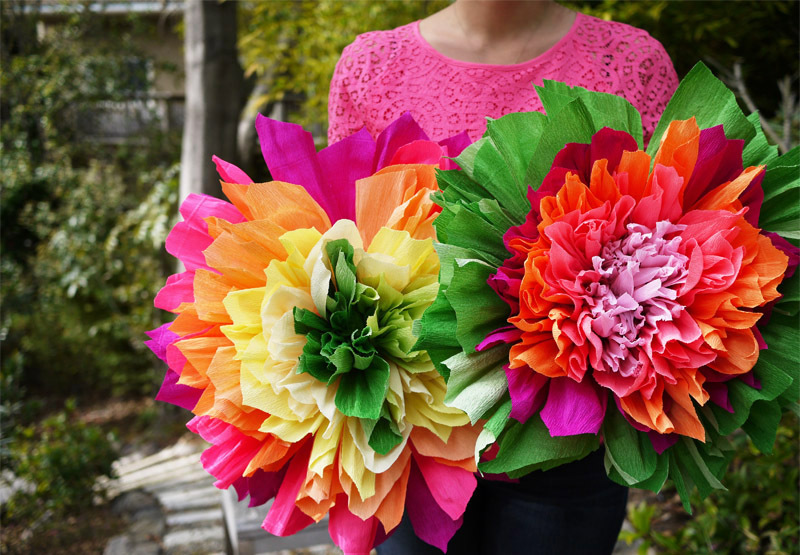 This crepe paper flower project shows you how to create beautiful Dahlia flowers. Get crafty today! 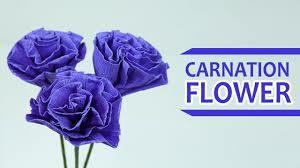 This You tube Video tutorial is a perfect guide with instructions on how to make handmade carnations out of crepe paper! 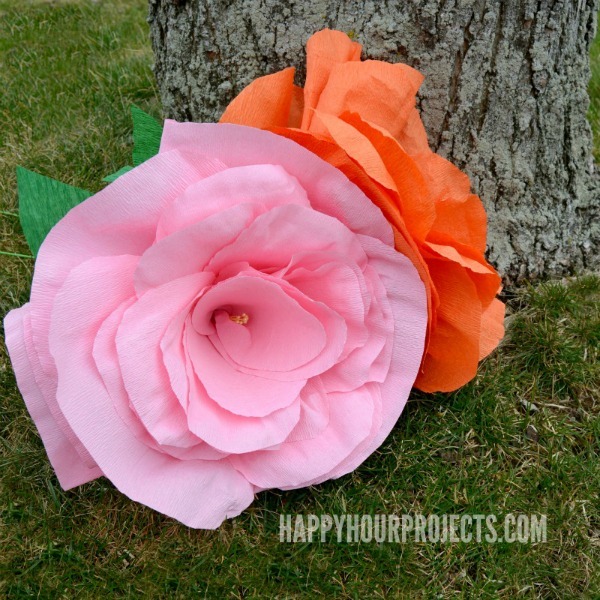 This one is one of the most simple and easy ways to make crepe paper roses. Using pink or yellow colored paper for the roses will also look great. Rolling them neatly is all you need to do! 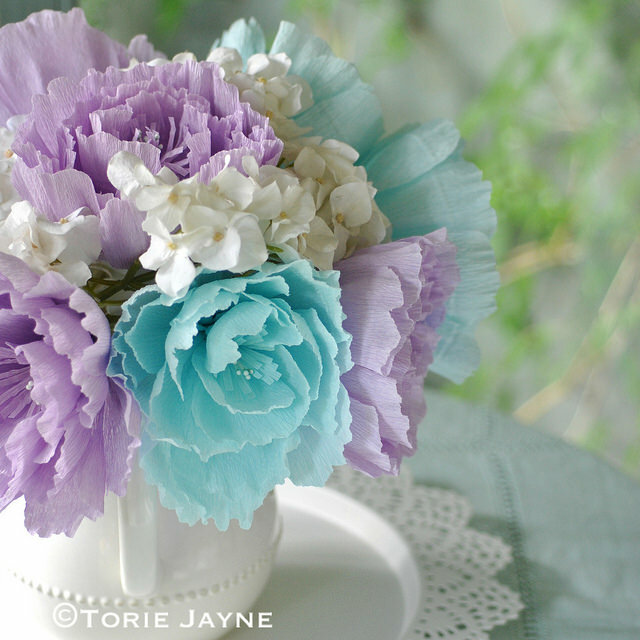 Learn how to create an amazing bouquet from crepe paper which is inexpensive and simple too. 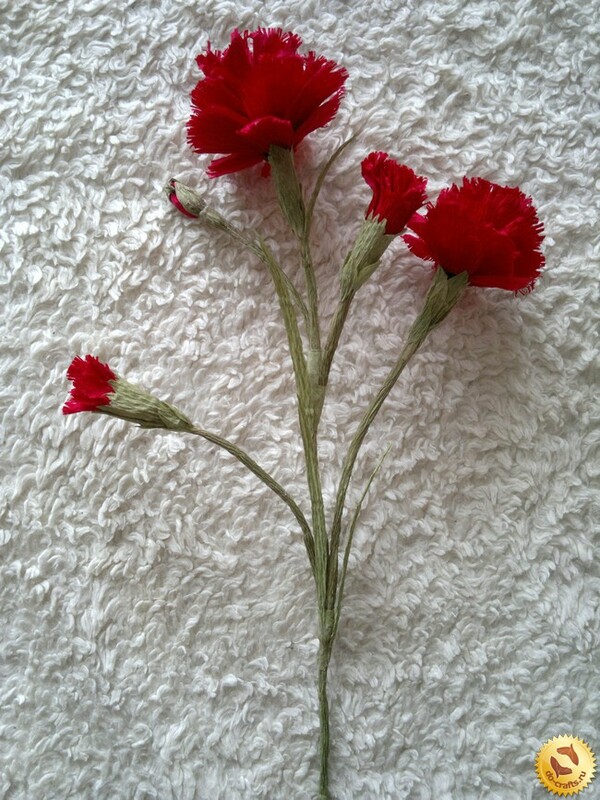 Creating the long stem and attaching them to the flowers give them a real look. The contrast color combination adds the perfect element to the look. 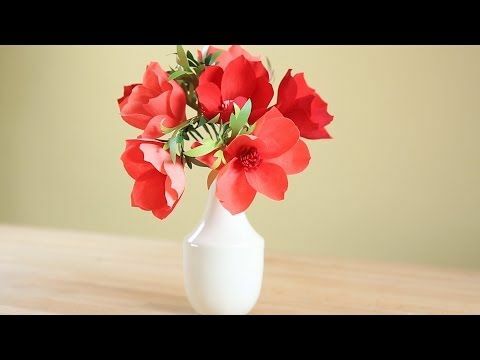 Perfect video tutorial and photos with all steps and photos to make easy flowers with crepe paper. Dipping wax to crepe paper flowers to add translucency makes it look pretty and wonderful. 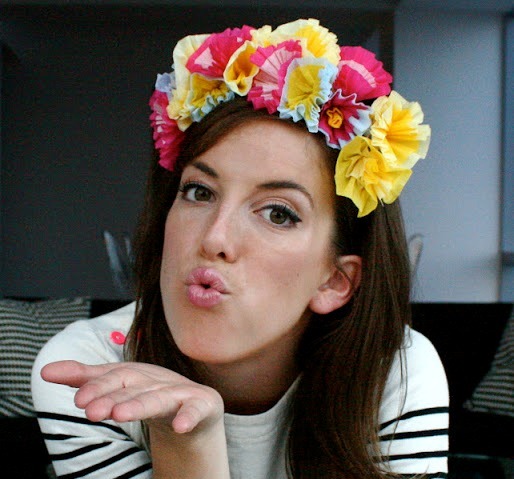 Try this amazing DIY craft today and adorn your headpieces or crowns with these flowers! Isn’t this beautiful? 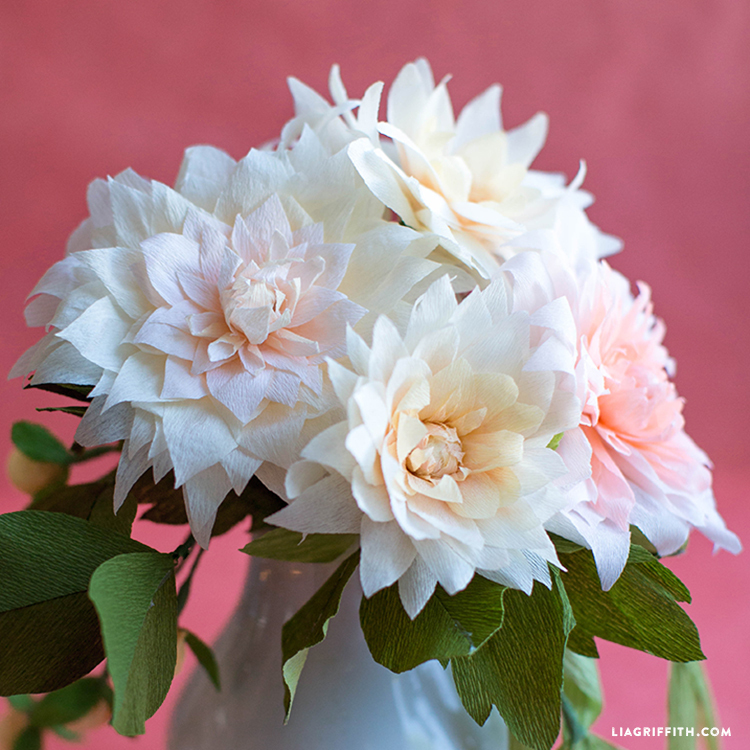 Create stunning designs and patterns from these crepe paper flowers tutorials! 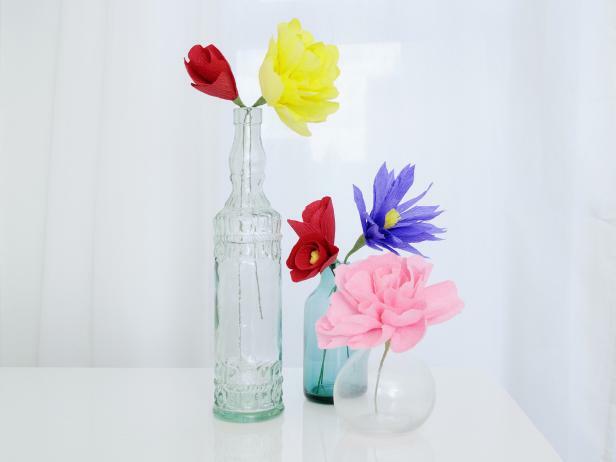 Create simple crepe paper flowers with this DIY ideas! 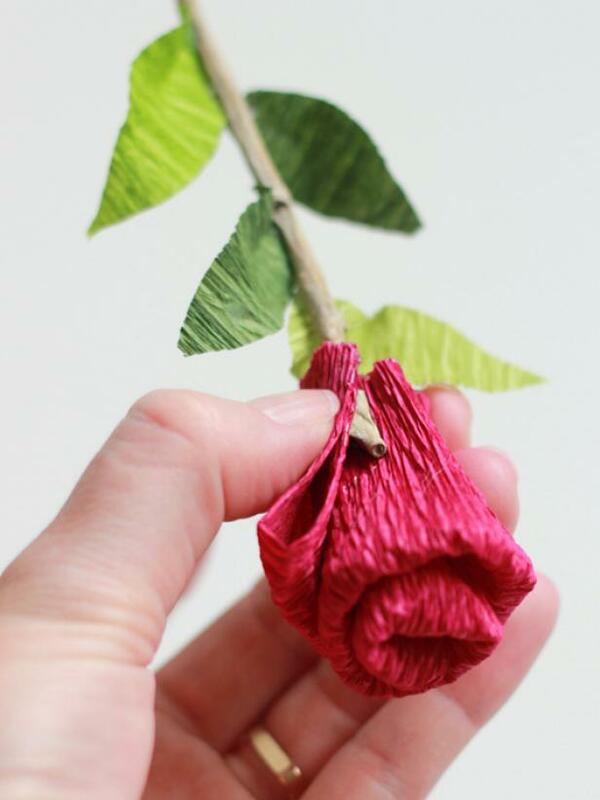 Amazing ideas about how to make flowers from crepe paper. 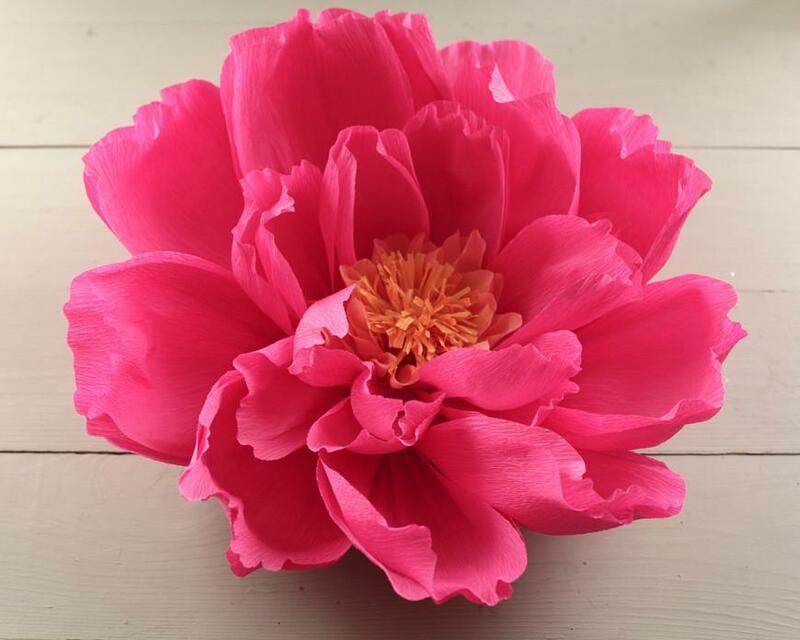 If you want to give a natural and hand made look to your wedding or party decorations making crepe paper flower balls should be your perfect choice! 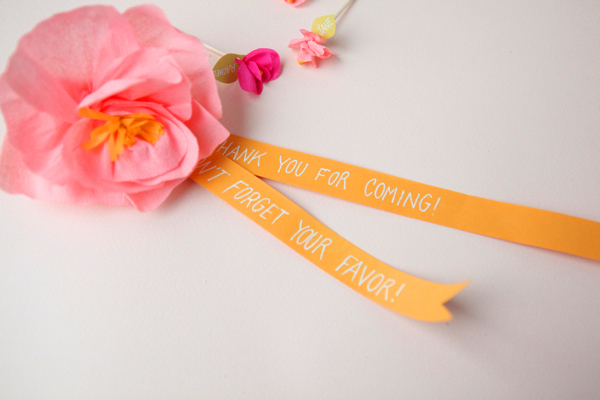 Turn ordinary party streamers into pretty flowers! 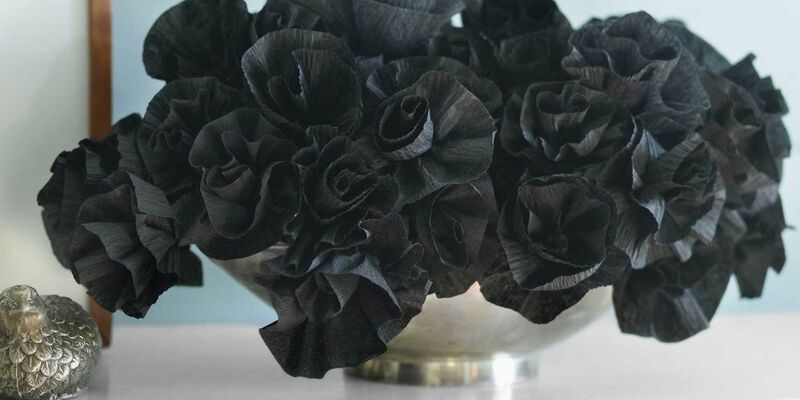 This floral arrangement uses black streamers, you can experiment with colors of your choice. This floral arrangement and design is a great inspiration for all paper craft lovers! Crowns and headbands made from crepe paper flowers is the perfect choice for birthday parties this season! DIY this idea today! 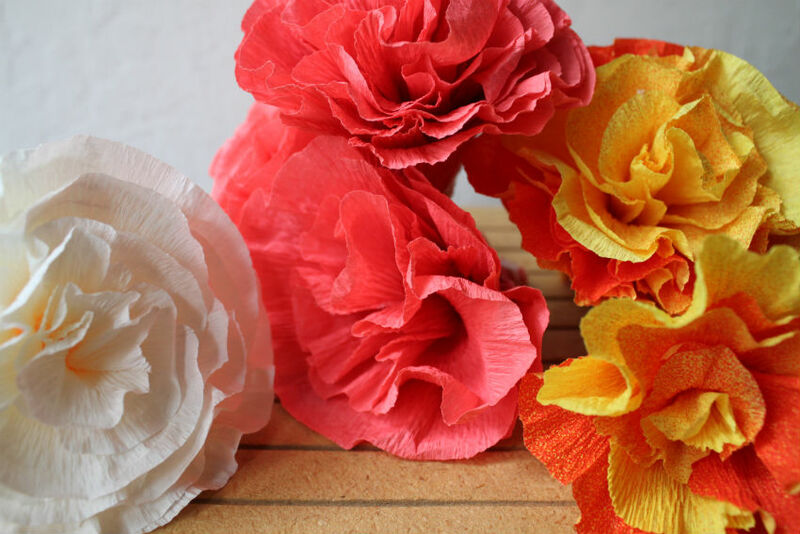 A simple yet creative design to make flowers from crepe paper. 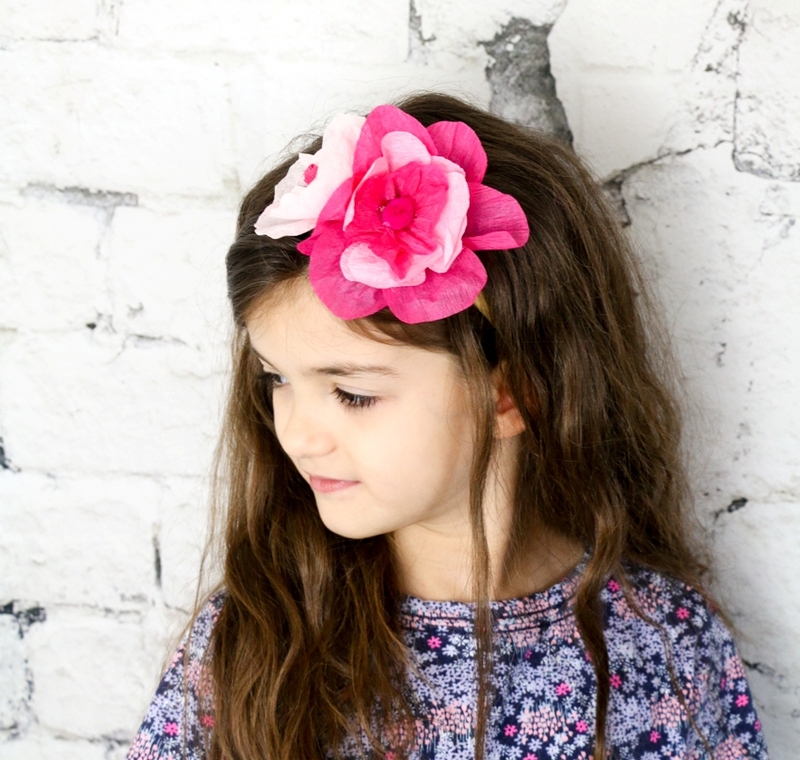 Make this beautiful crepe paper flower headband for your daughter and make her feel special. 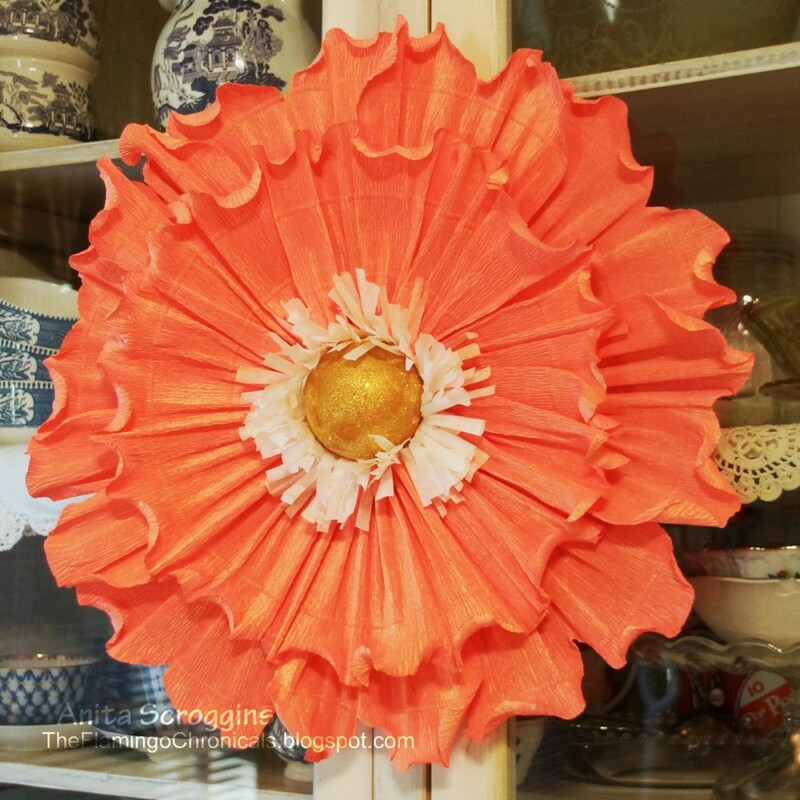 Create beautiful lily flowers using crepe paper! The step-by-step instructions guide you throughout the tutorial which makes it easy for you. 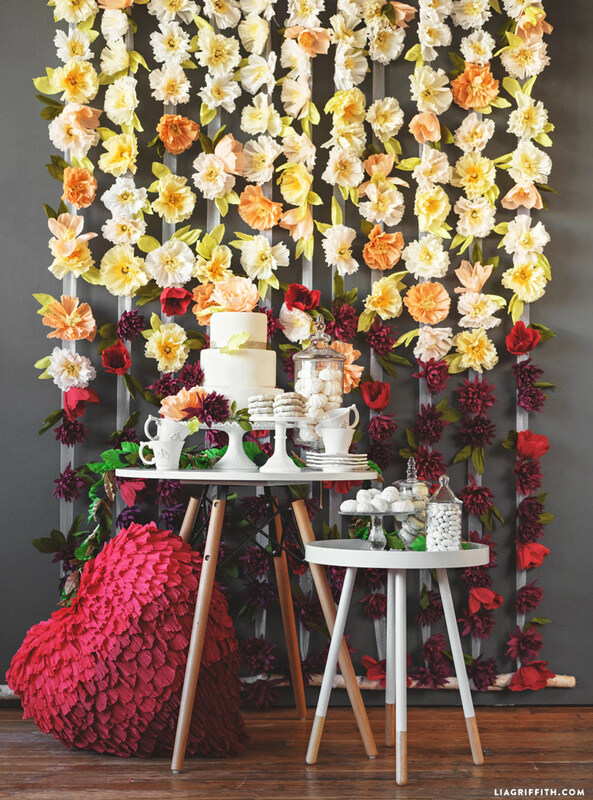 Making flowers from crepe paper for your backdrop or wall is an affordable and simple home made idea. 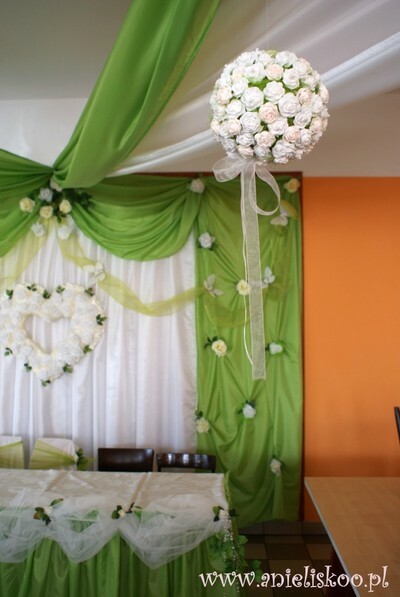 Decorations can turn the venue into an amazing one! Adding this stunning flower arrangement to your backdrop in weddings or your special occasion will be the pick of the season. Loved this beautiful flowers made from crepe paper!